OK the heading is satirical. 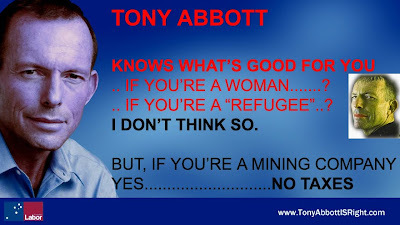 There is a hot new website (launched by the Labor Party of course) where you can design you're own Tony Abbott poster. An Act of Spite by Fairfax Media. ALP Blame Game has started - too late! Dear Julia = Please consider the Environment.